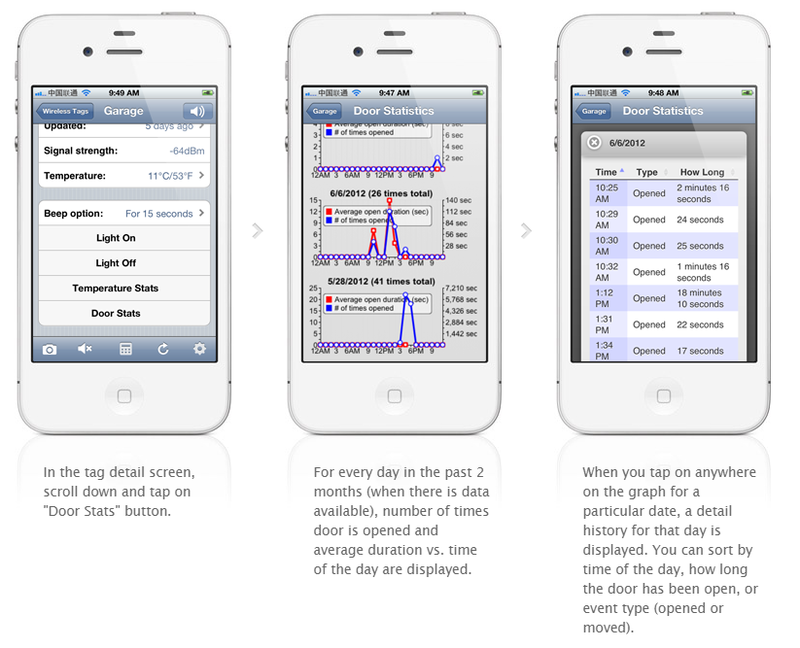 Install our iPhone/iPad app from AppStore by searching “Wireless Tag List” or follow this link. Use the 12 digit serial numbers on your Ethernet Tag Manager to create a login. Keep the serial number in a safe place. 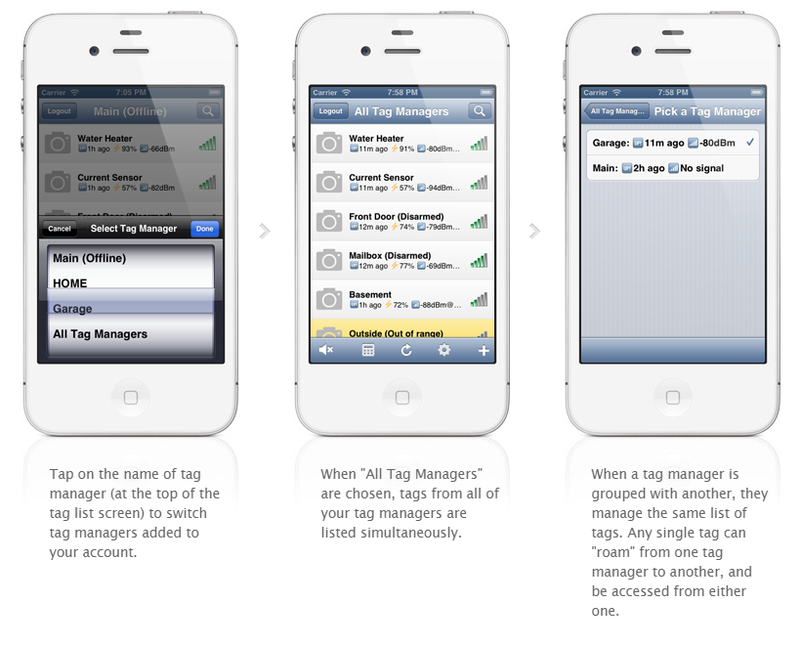 Follow this step to associate each new Tags with the Tag Manager. For water/moisture sensors, please activate by shorting the tip using a metal object (scraping the tip using a coin, for example) or dipping the tip into water. A red light should start flashing on the sensor every few seconds for about 2 minutes, before the sensor goes into sleep again. 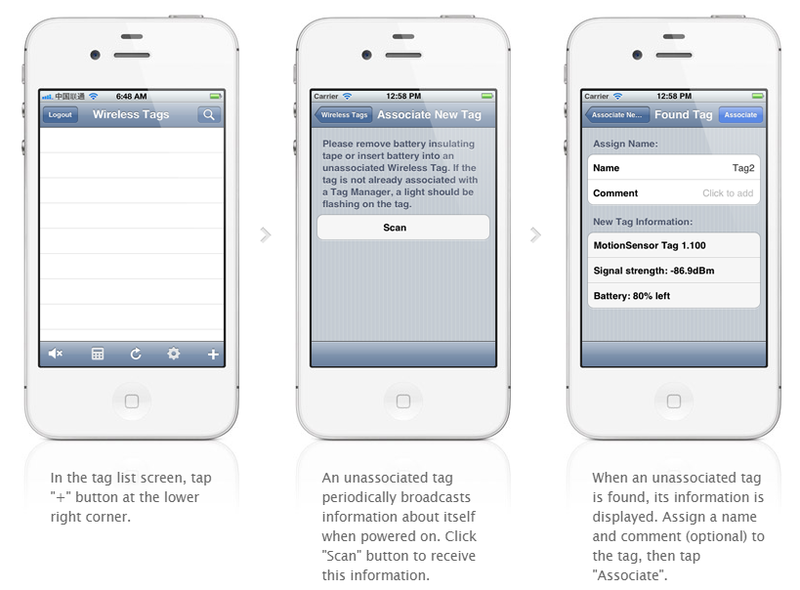 Search & associate like other tags while the light is flashing. 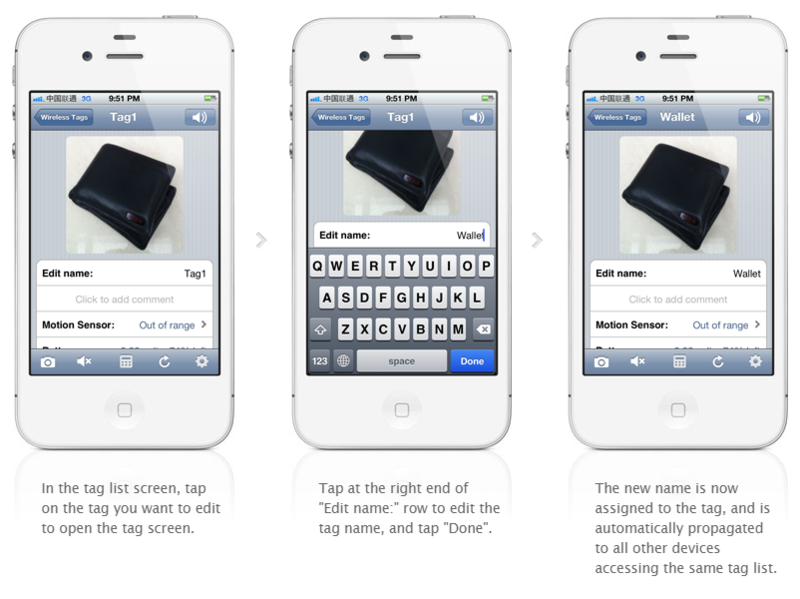 You can edit tag names, comments and assign pictures to each Wireless Sensor Tag. 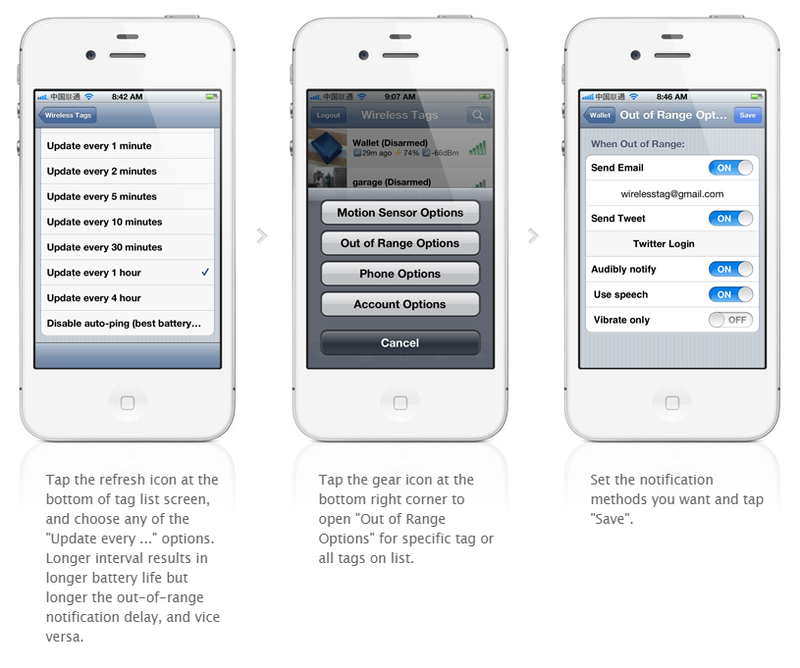 Motion sensor, temperature monitoring and out-of-range notification are turned off until they are needed to conserve battery. 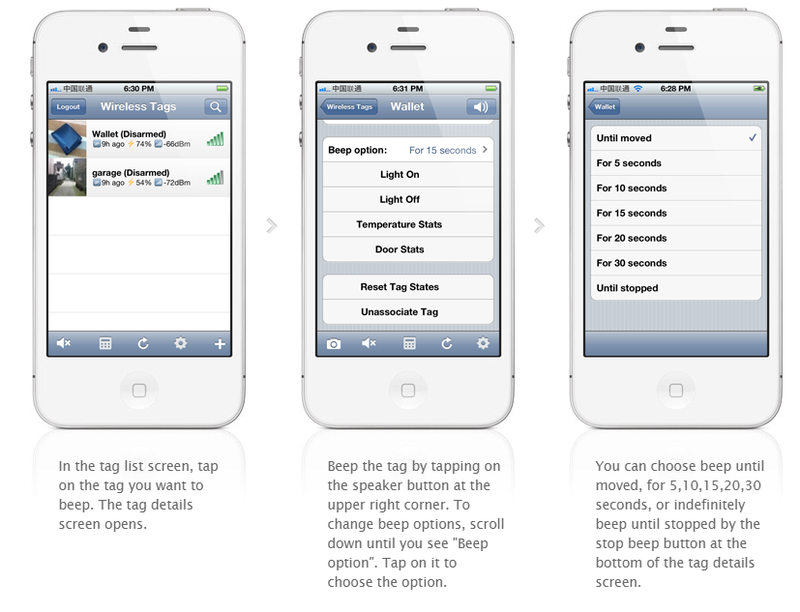 Follow the steps below to turn them on/off as needed. 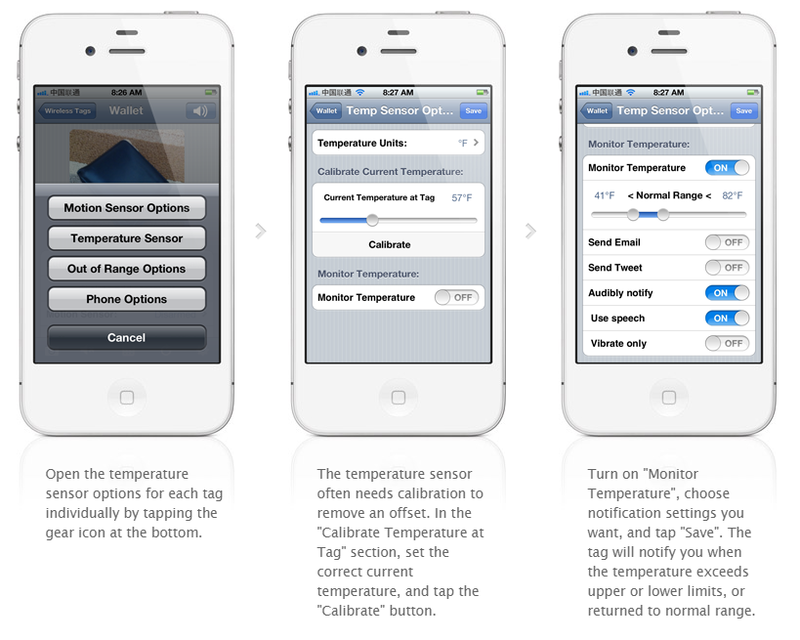 Tune the sensitivity and responsiveness of the motion sensor to suit your application. 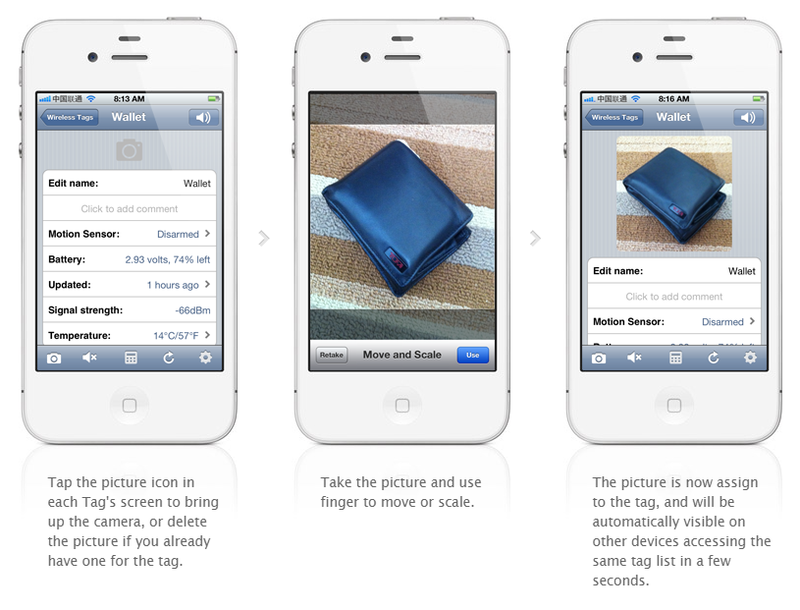 In motion detection mode, choose to remember moved state indefinitely or reset to armed state after a while. 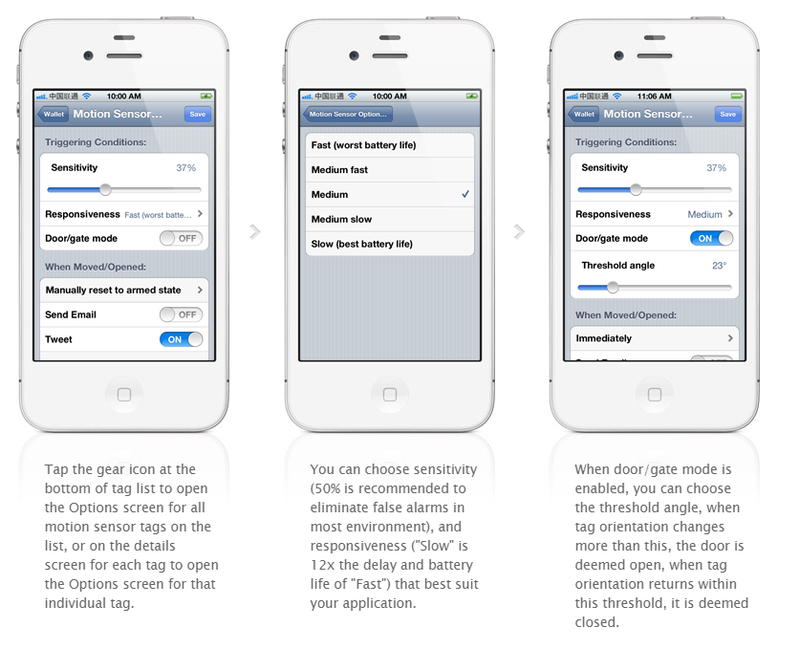 In door/gate mode, choose the threshold angle (23 degree is recommended for automatic garage doors, 2~5 degree for regular doors), or choose to get notified only when door is opened for too long. 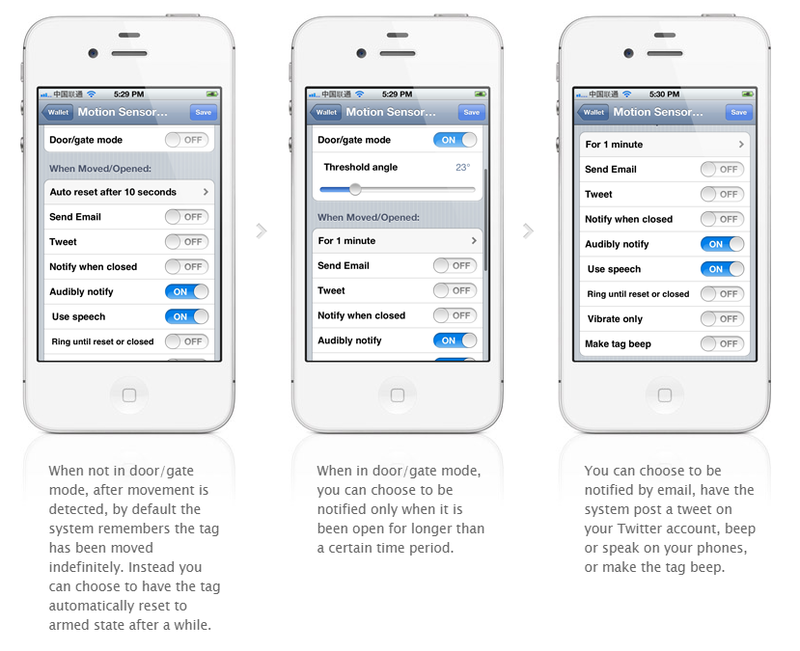 Choose to get notified by emails, tweets, speech, or whether to make tag beep upon motion. 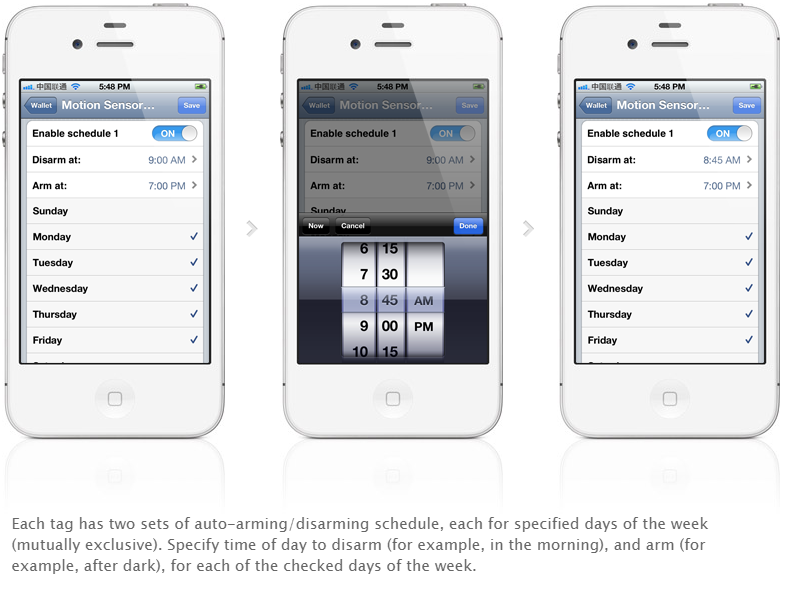 Set the schedule to automatically arm or disarm the motion sensor at certain time of the day, and days of the week. 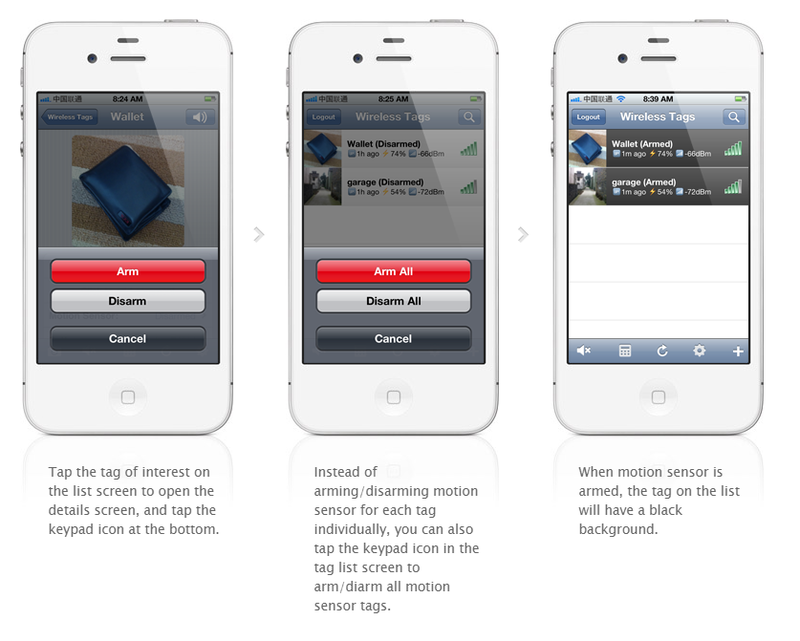 Every wireless sensor tag has a beep function to help you find missing tags. Attach the tag to key chains, put inside your wallet, or strap to TV remote controls, and never waste time looking for these items again. 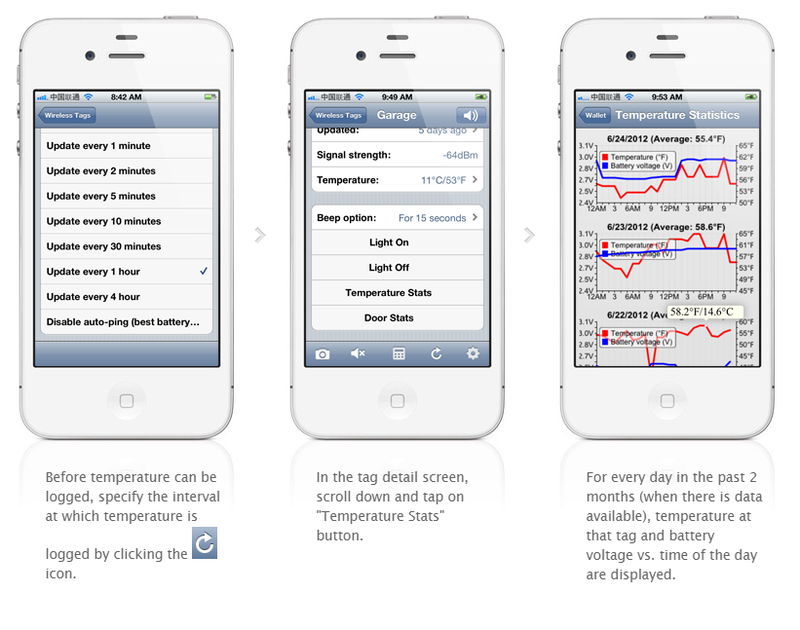 Each tag automatically logs temperature and each time it is moved, opened or closed, so you can always check what happened while you were away. 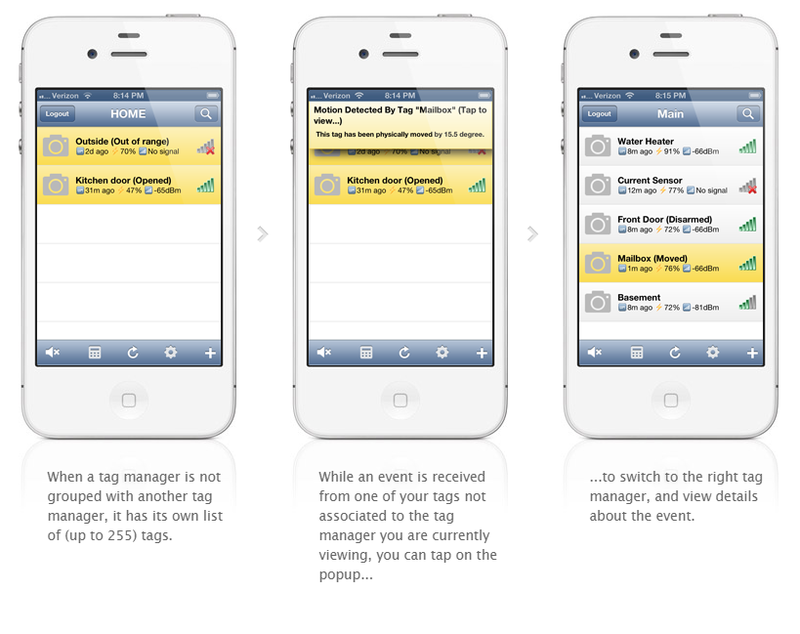 Use multiple tag managers to to cover a wider area, enable tags to “roam” from one area to another, or manage more than 255 tags at one time. 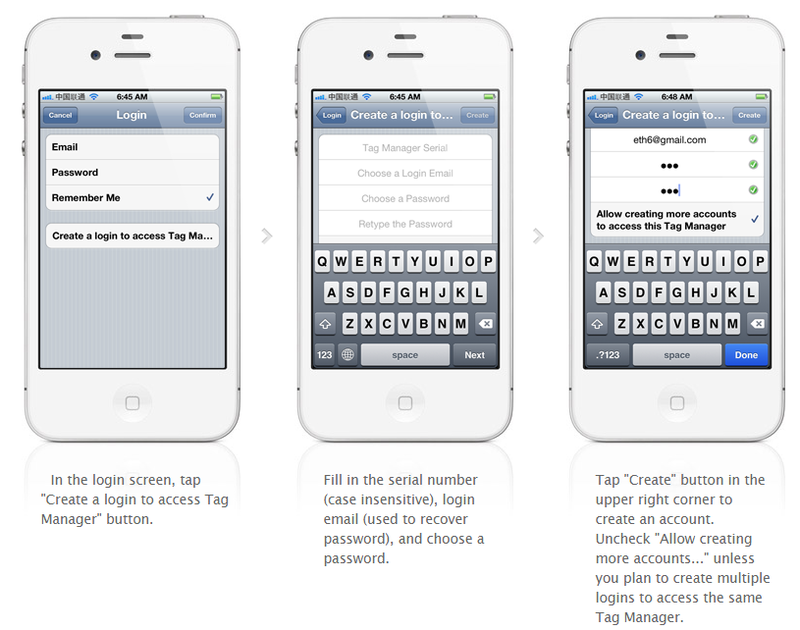 Use the Web/Android app to add tag managers to your account.